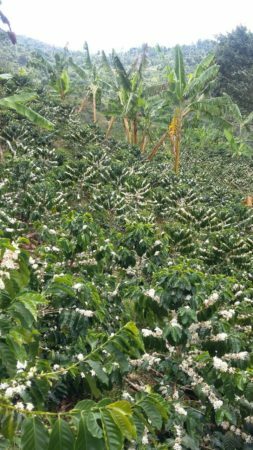 Finca Palmichal is high on the western side of the Central Andes mountain range, near the town of Genova. This entire region went through very violent and difficult times during the peak of the guerrilla expansion in the country. Now, however, after the negotiation between the government and the FARC, there is hope among these communities for many safe and happy years to come. 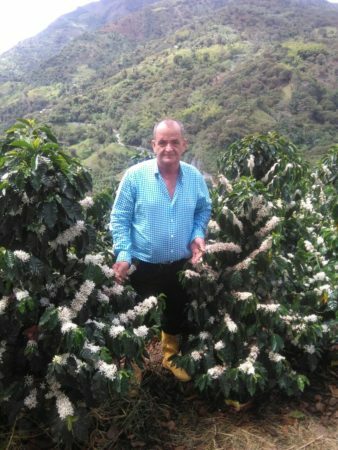 Producer Atilano Giraldo is the third generation of his family to grow coffee in the state of Quindío. He grew up working alongside his father on their farm, and since then has acquired additional properties, including Palmichal, which he bought from the local Osorio family. Recently, after years of hard work, and in order to help the development of his region, Don Atilano ran and was elected as a senator in the Colombian parliament representing Quindío. 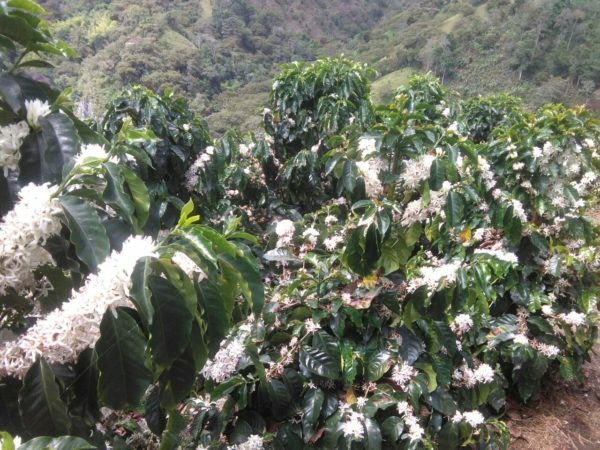 Quindío enjoys two rainy seasons — one from September to November and another from April to June, which means two flowering periods and therefore two harvests. The latter is considered the mitaca, but production here is evenly split between the seasons and coffee here is picked nearly all year long. Palmichal includes 53 hectares of coffee trees — or approximately 350,000 coffee trees spaced 1–1.5 meters apart. Cherry is harvested and brought to a central wet mill nearby, where it’s washed and dried. The dry parchment is then trucked to the Laumayer mill in Armenia, about 60 minutes away, where it’s milled and prepared for export.